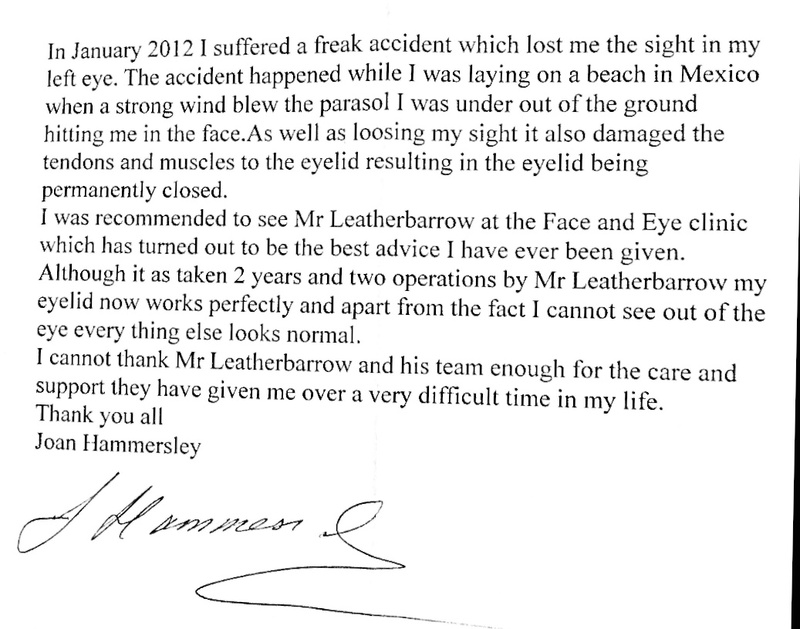 Below you will find a series of testimonials from patients treated by Mr Leatherbarrow. “My name is Marzena. I am Polish. I would like to share my son’s story.Jan had a very unfortunate accident at the age of 18 months. During a routine walk he fell down and a thorn of a rose badly injured his right eye. It was a very serious penetrating injury due to which he lost completely his eye sight in his right eye. After some time the eye became more and more deformed. Apart from abnormal appearance the rising pressure in his right eye was causing strong headaches. When Jan turned 11 it was recommended to remove his sick eye. We did some research regarding the current options available throughout the world. 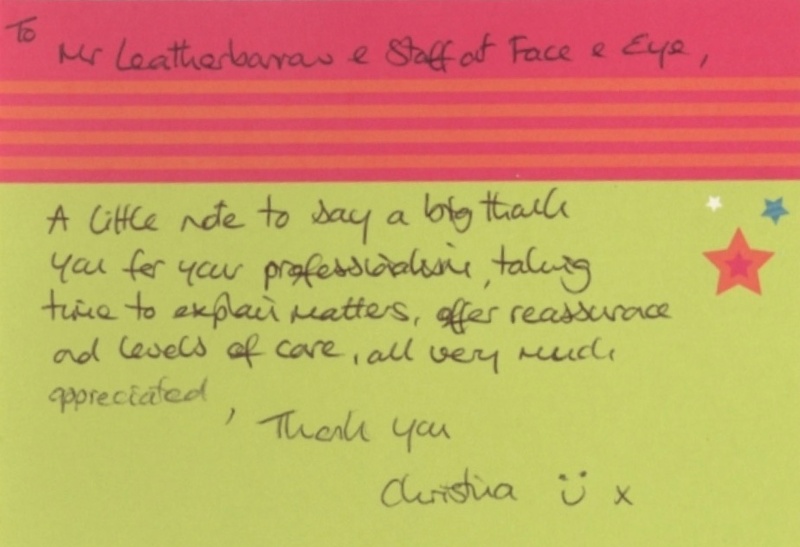 We finally, came across a recommendation of Mr. Brian Leatherbarrow who specializes in various eye surgeries and is also known for carrying out eye-implant surgeries with excellent results. 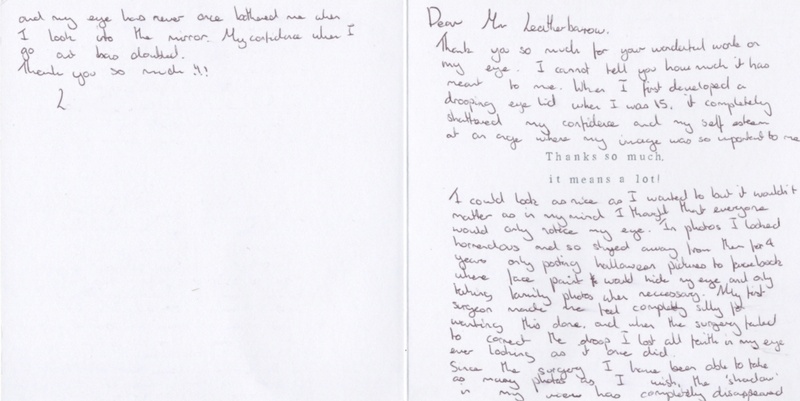 Mr Leatherbarrow agreed to perform Jan’s surgery. At the same time it turned out that the Surgeon cooperates with a very experienced Ocularist, Mr Robin Brammar. So we came to Manchester with great hope. 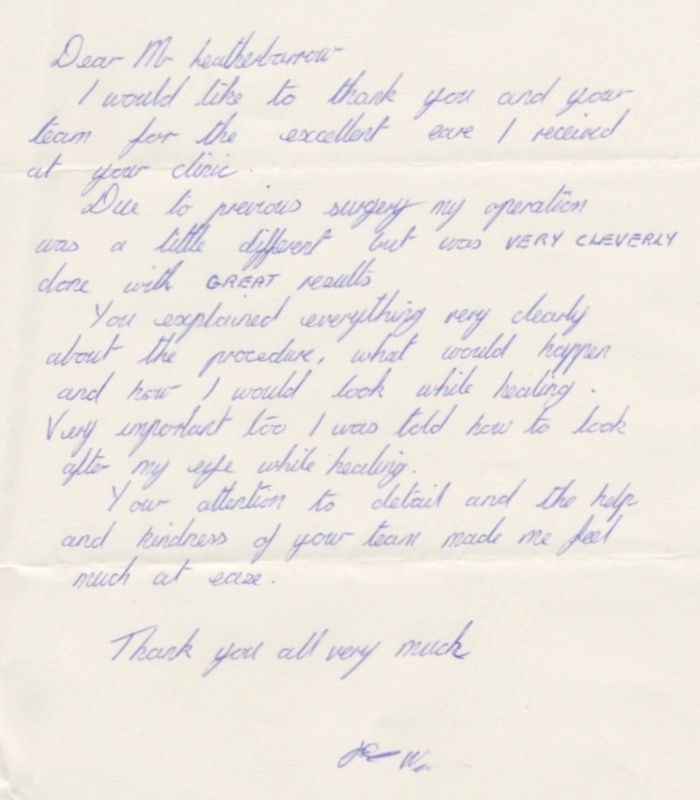 Jan underwent his surgery in July 2009 and 2 months later he had his artificial eye fitted.